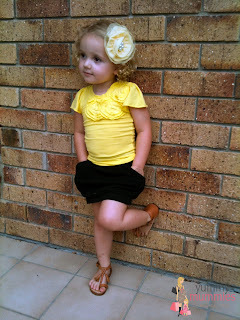 Yummy Mummies & Mini Me: i want my daughter's get-up! She is very hip indeed. Love Mini, my daughter wears alot of their stuff. I wish it came in adult sizes too! She is adorable and yes that is a pretty funky outfit. What a cute girl! Love the Mini Metalicus top. The whole outfit is really cool.